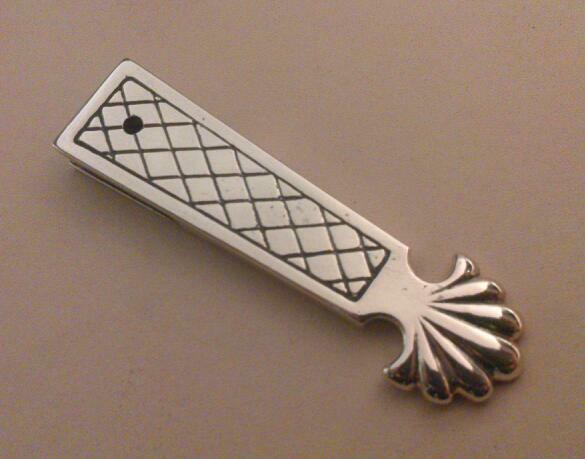 Strap end 14th - 15th Century, modelled after an original in the Museum of London. Length 62mm, Width at top 15mm, Width at shell 17mm. 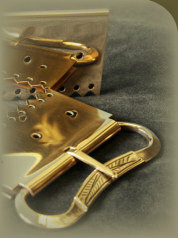 Buckle mount will work with buckles with narrow cross bars buckles by filing a shoulder at each corner.